Hard to survive on the gritty grid of the Tenderloin by the Civic Center. 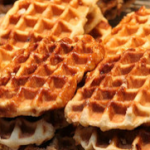 The short-lived kiosk of WAFFLE MANIA (gosh we wish they had could come up with a better name) is a prime reason why sweet things struggle to survive in these sour, if interesting, San Francisco environs – so much for to bricks and mortar stability. The classic Belgian staple of chewy and crunchy sugared toasts continues to serve it sweetness from its vehicular outpost (aka food truck) at the Civic Center Farmer’s Market. Among the seedier residents of the area it’s a welcome incursion to the otherwise lackluster easy eats of the area. 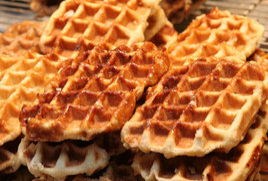 WAFFLE MANIA, Market Street at UN Bart Plaza, Wednesday, 8a.m.-2p.m. I am 70 yrs and was taking this product. I find it is great! Buy generic cialis? When you order drugs online from our shop you can be assured that you’re ordering the very best brand and generic medication from Canada.